Bandaisan Onsen Hotel is a highland hotel which overlooks the beautiful mirror-like lake " Inawashiroko Lake, and it is surrounded by the Bandaisan mountain, one of the 100 famous mountains in Japan. 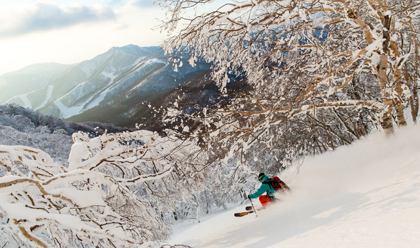 Just 250km away from Tokyo, the ski resort of Bandaisan Onsen Hotel is with over 200 acres of the epic terrain covered in 600 cm of pristine powder in the winter time, a skier's paradise that you will only believe it after experiencing it. After skiing, other activities like the hot spring experience or paying a visit to the Samurai city (Aizu Wakamatsu) are popular choices among tourists. There are 2 ski resorts nearby which guarantee a great quality of powder-snow: Alts Snow Park & Resort and Nekoma Snow Park & Resort. Alts Bandai Ski Resort is just next to the Bandaisan Onsen Hotel so it can be easily reached by walk. 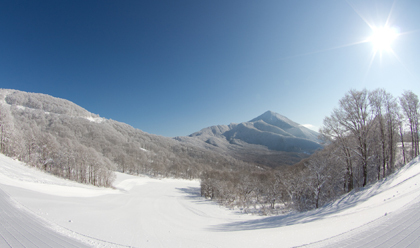 To go to Nekoma Snow Park & Resort, it takes about 45 minutes by bus.
. On the southern face of Mountain Bandai, 29 slopes await with deep powder snow from mid-December through early April. Ski runs for all levels, a world-class freestyle zone, cross-country trails, dedicated play fields, English instruction and full day-care facilities, this is one of the region's largest and most accessible winter parks.
. The ski-in/ski-out convenience provides guests with the most seamless ski vacation experience.
. The slopes open from late November through early May on the north side of Mount Bandai offer skiers and snowboarders of all levels some of the country's finest powder snow on natural-terrain, groomed and mogul runs.
. Shuttles connect with Alts Snow Park is underway to enable direct access between the two resorts without descending the mountain. Comfortable beds, selected activities, a night bar, and English speaking staffs are available. 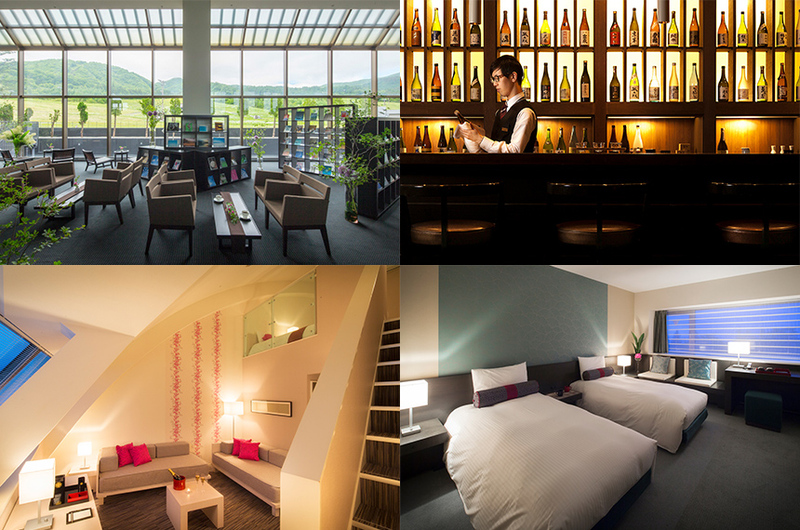 The high quality of hotel facilities and well-trained staffs are promised. Come and experience the spirit of this country’s "omotenashi" (Japanese-style hospitality) here in Bandaisan Onsen Hotel. Local dishes are provided in this buffet restaurant. Hand-made soba, deep fried tempura and Aizu's famous horse meat hot pot are all available for the dinner buffet. Soft serve ice cream covered with buckwheat honey is the best choice for your dessert. For the breakfast, the seasonal vegetables and ramen noodle help you start off a healthy day. To guarantee the good long ski time, the check-in time is from 4pm, and the check-out time will be 1pm. And there is 9 Benefits for hotel guests. 3. Free gear rental for children below school age. 4. Free ride of beginner course lifts. 5. Free sled rental for children. 9. Substitute the breakfast coupon to a lunch coupon. Copyright © 2017 Hoshino Resorts BANDAISAN All Rights Reserved.